Facebook founder and WhatsApp owner has launched its video calling within the app. 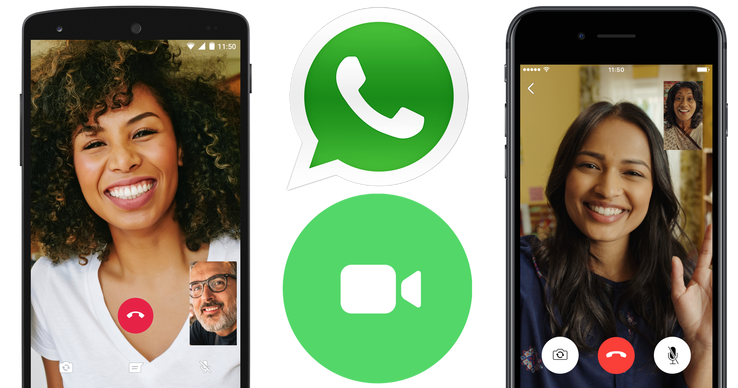 This is the latest update to the popular messaging Whatsapp, designed to stem competition from the likes of Skype and Apple's FaceTime, which simply means that users can call one another with real time video. Windows devices in the next few days, WhatsApp said. 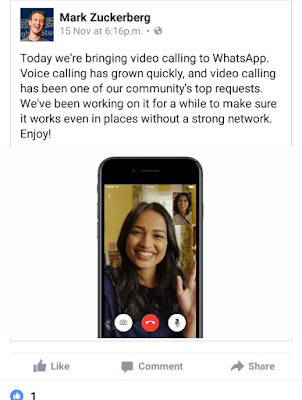 "Over the years we've received many requests from our users for video calling," said WhatsApp. "We want to make these features available to everyone, not just those who can afford the most expensive new phones or live in countries with the best cellular networks." With the update, users will be given the option to start a video or voice call when they tap on the phone icon in the top right hand corner of a conversation. The new feature is the second addition to WhatsApp's video and photo sharing features in recent weeks. At the end of October, the billion-user messaging app added the ability for users to draw on images in a similar way that they can in Snapchat, Instagram and iMessage.